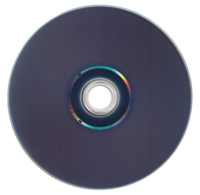 While fewer women overall are buying or renting DVDs, not all segments are abandoning the format says our recent research – moms with kids under 12, Hispanic and African American women in particular continue to be engaged with the DVD format and they are above-average consumers of online and mobile video as well. 57% of all women surveyed bought at least one DVD in the last six months prior to the study, down 4-points from 61% one year earlier. Moms with kids under 12 are the most loyal DVD buying segment, with 66% saying they bought a DVD. Hispanic American women also were above-average DVD buyers (64%), followed by African American women (61%). Women 40+ were the lightest buyers – only 42% of them bought one. Comedies are the most popular type of DVDs women are buying or renting, followed by action & adventure, drama, children’s, TV shows and boxed sets. Three sources account for most of DVD buying among women. Thirty-eight percent (38%) bought their last DVD at Walmart – Amazon was a distant second (13%) followed by Target (11%). Only 9% bought at Best Buy. On the rentals side, just over one-in-ten (12%) women reported having a Netflix membership for rentals. Walmart was particularly strong among moms, with a 47% share (compared to 38% for all U.S. women). And it also had larger-than-average share among Hispanic women – 45% of Hispanic DVD buyers got their last DVD at Walmart, with Target and Best Buy coming in at 11% a piece. Only 5% of women had access to Blu-Ray in the home and the same percentage said they bought Blu-ray DVDs although another 28% said a Blu-Ray DVD player was a likely purchase in the next six months. A majority (67%) said a Blu-ray DVD player upgrade was unlikely. The research found that 20% now have a video-capable digital media player, such as a video iPod, up from 14% the year prior. And much of the mobile entertainment boom is driven by Hispanic and African American women who are 1.5 times more likely to own a digital video device than average. This correlates with age to some extent: According to the U.S. Census Bureau, the median age of Hispanic American women is 27 compared to 32 for African-American women and 37 for all U.S. women. Typical owner of a video iPod has 5 videos or movies on the device, with TV shows at the top in terms of popularity (33% have one), followed by full-length movies (24%) and music videos (20%). User-generated content such as clips from YouTube and similar only made up a small proportion of content on these devices (11%). More than half the moms said they share their digital media player with their kids. And 77% of moms have at least some content like movies or TV shows for their kids on their device. Technical: this post is a part of a series of releases from the Women & Digital Life study which is based on over 2,000 in-depth interviews and explores how women navigate in the age of broadband, mobile and social media. This release contains information from the DVD chapter of the study. Women & Digital Life is an independent syndicated study conducted by SRG (Solutions Research Group). The fieldwork for this study was completed in December 2008 among a representative sample of 2,000 online American women consumers 12+. The sample captures all major population segments, e.g., parents with preschool kids, tweens or teens, young women, and empty nesters. Sample design included an oversample of African-American and English-speaking Hispanic women. Where applicable, the results are compared to a similar study undertaken by SRG in 2007 among 1,508 women, plus focus groups conducted over a 2-year period. For more on the reports, click here or keep up with Women & Digital Life on Twitter.